The one in the Oranienburger Straße, in Berlin (Germany). This is in East Berlin, in the heart of the pre-war Jewish district. 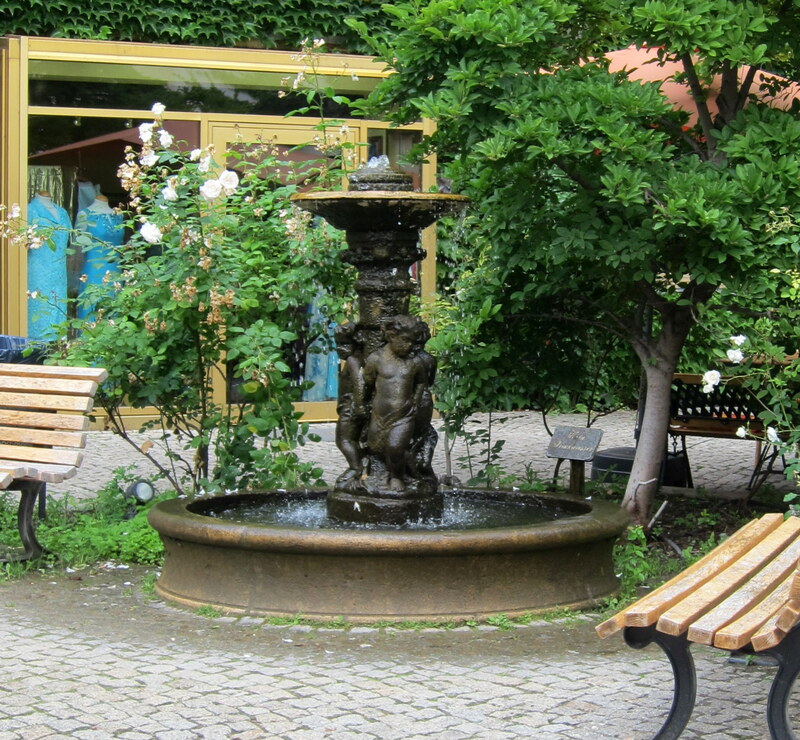 It is very popular are, but these courtyards are literally off the beaten track. Unless you are told you can actually go into these courtyards, it is easy to miss what is hiding inside. Like, this fountain, for example. The courtyards, were built during the turn of last century to serve as a separation between the bourgeoisie and the workers. This space became a focal point in the lives of the building’s tenants and the location of the daily activities, including mundane things like going to the toilette. After the 2nd World War, this area became one of the most desolate in town. In recent years- specially after the Wall felt – it became a fashionable, trendy place with upscale restaurants and trendy shops. On a side note – not far from here was tacheles, now sadly gone.